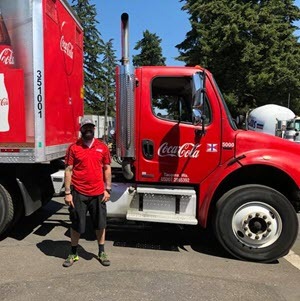 David Moorhead, a Port Orchard Campus graduate is loving his local Coca Cola job he landed a few weeks after graduation. We were so glad he stopped by to show us his truck! !